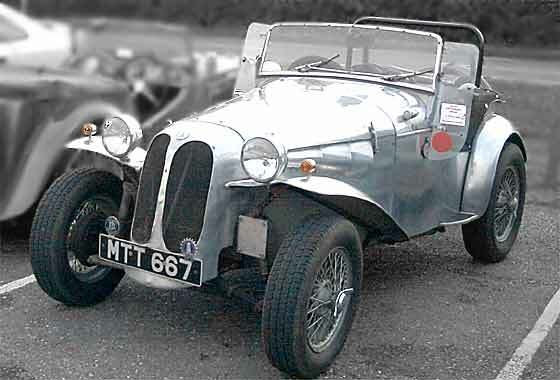 Dellows were made in Alvechuch, Birmingham, between 1948-50, using missile tubing and mainly Ford parts, and were successful trials and rally cars. 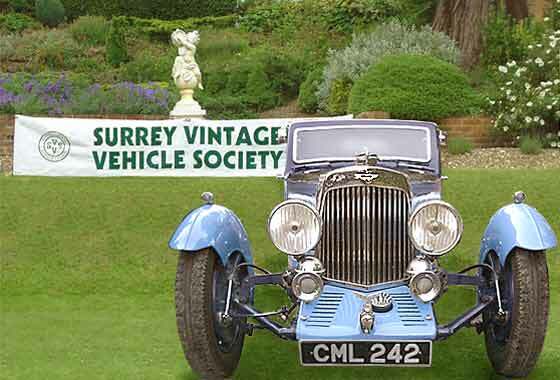 This car was supplied to a freighter captain who had it aboard for overseas use. Uprated for long distance trials with a Cortina 1600E engine/gearbox, springs, hydraulic brakes and 15/16" wire wheels. Used for MCC and ACTC trials. Additional pics here. Dellow Register here. The only remaining 1.5 litre Aston Martin saloon in the UK. 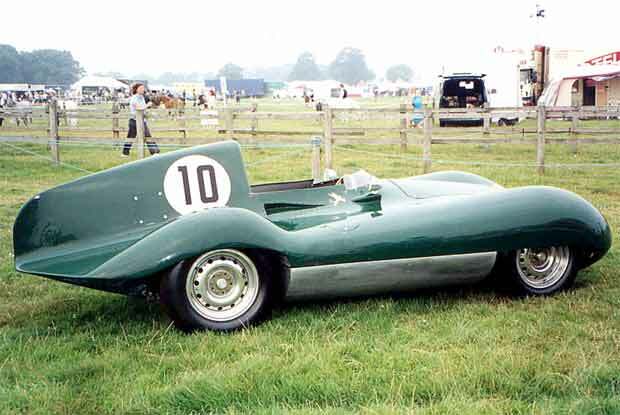 Fully restored in 1993 and it won the AMOC Concours two days after completing the 1500 mile RAC EuroClassic Rally. Car has also been across USA where it won class at the world famous Pebble Beach Concours just after having completed a non-stop 2000 mile run from Vancouver. Keith has also done the 'Peking', and is the Chairman of the Aston Martin Owners Club. 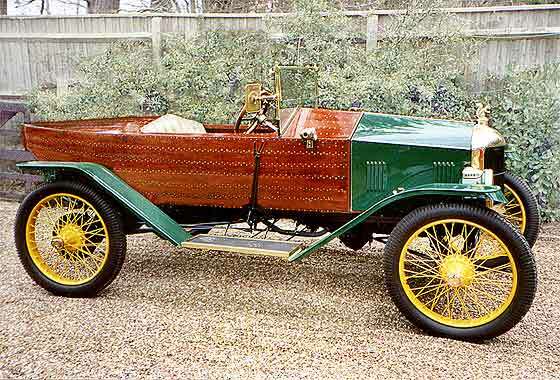 This unusual Ford Model T was built by David's great uncle Thomas de Quincey. The body has an ash frame with mahogany planking secured with brass screws. Originally destined as a boat for eldest son, (killed in flying accident) was completed as a car body for next son. Partially dismantled during last war and engine used for other purposes. Inherited on understanding it is to remain in family. Got back old regn. SVVS's David Woodburn was in Wales marshalling at Light Car and Edwardian Section of the VSCC's Welsh Weekend which involved driving tests or a rally on the Saturday and a 10 hill trial on the Sunday. David noted that John Kirkby of the SVVS was also attending and took this photo of the Humber just before it embarked on Hill 4. David left before the final results were declared so didn't find out John's final placing.